The theme "All Anew" brought first the image of a brand new day and a rising sun, which is why I chose gold as my "plus one" color. 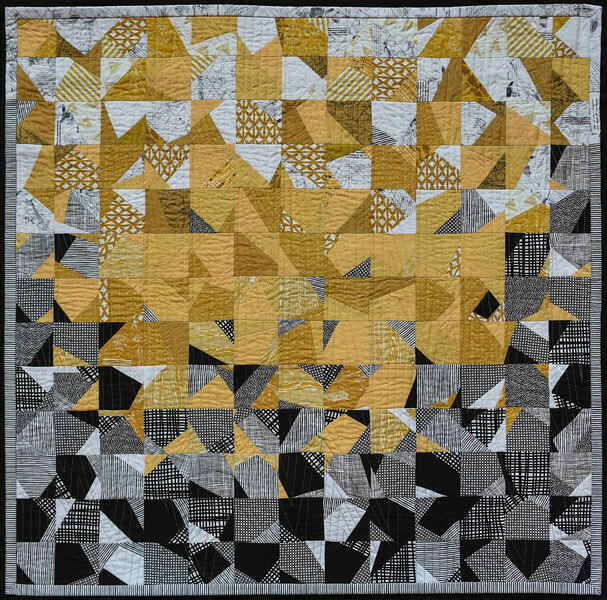 Yet in building the design, what began to emerge in both my mind and eventually the quilt design itself, was a refiner's fire ... and the use of value and color change helped express the semblance of purifying. So even in its creation, this quilt held transformation.